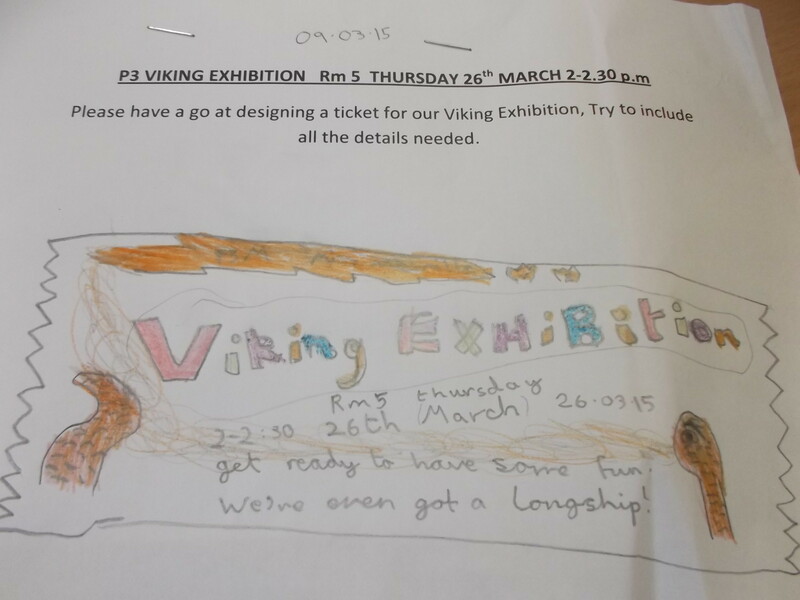 This week for our Information Detective homework we have been designing tickets for our Viking Exhibition. Remember to put the date in your diary! This entry was posted in Uncategorized on March 12, 2015 by lochardilp3blog. 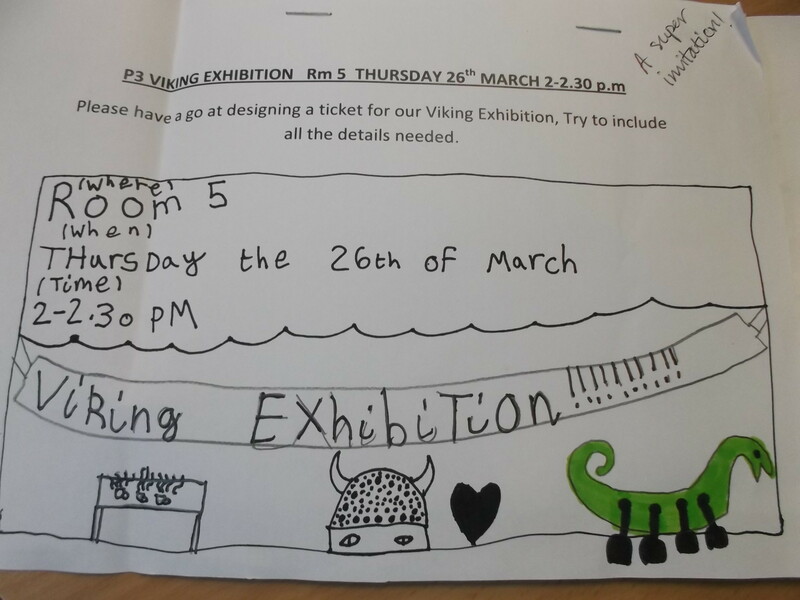 Hope your Class Exhibition goes well. 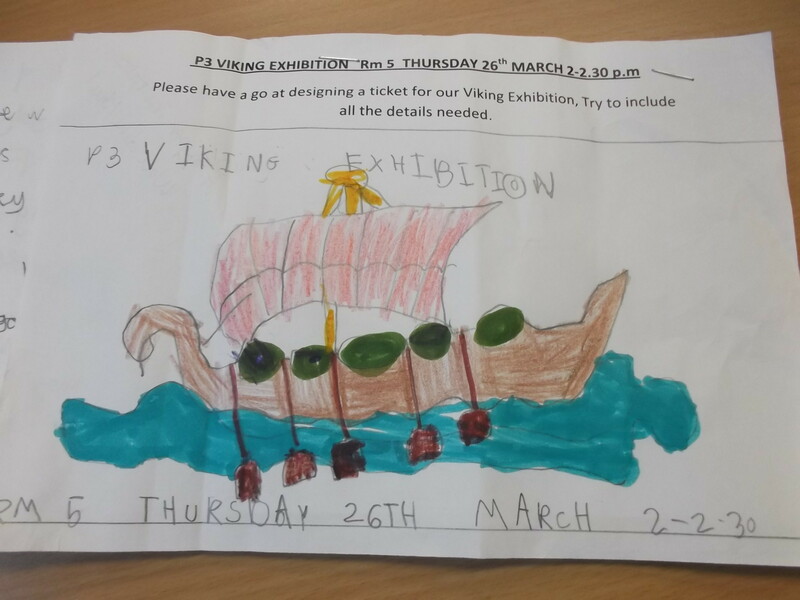 You have all worked so hard and learned so many new facts about the Vikings. 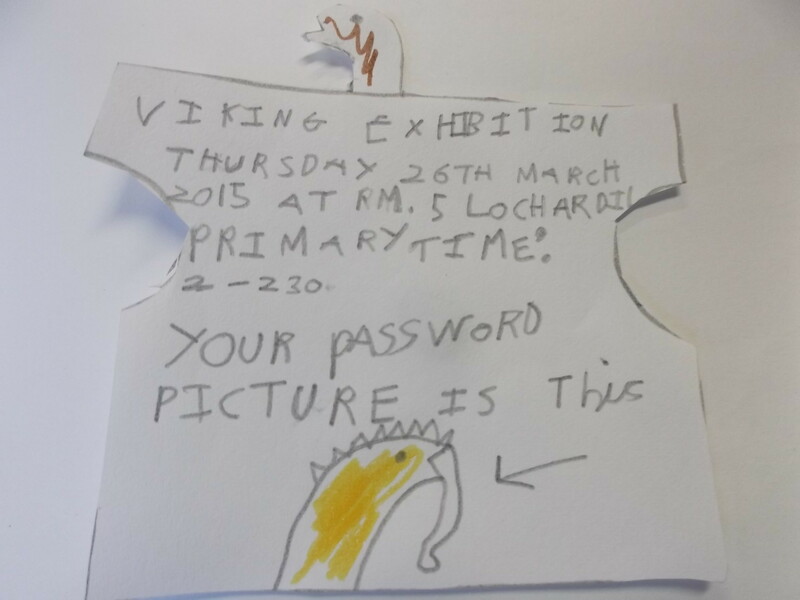 Your visitors will be very impressed with all your Norse knowledge!